We are adjusting to being out of the hospital. It has been odd not to have nurses and doctors waking us up in the morning and machines beeping at all hours. I am surprised what we got used to. I am missing the help for Ryleigh’s care that is only one call button push away. We have had a few issues that I have had to work my way through. Ryleigh does not have the confidence in me yet that I can manage and deal with things as they come. She has had some oozing from her incision sight. I put a makeshift bandage on it and told her it should be okay. But, she insisted we call the doctors. I called and luckily it was the surgeon who knew Ryleigh. We went into emergency and he looked at it. Reassured us that it was not infected just some fluid that collects at wounds and it will drain for the next few days. He put a piece of gauze on it and sent us on our way (with extra supplies of course!). Chloe was kind enough to remind Ryleigh and myself that I did the right things on my own and that I handled things very well. Nice to have the encouragement. Truthfully, I feel like I am flying by the seat of my pants…wondering if things will ever become routine again. We ventured out to Langley yesterday to watch some of Ryleigh’s friends and my former students play basketball. It was so lovely for me to see all the bright, sparkling faces of these girls. It was even more delightful to see how much pride Ryleigh took in getting ready for the outing. She was also so brave about her ostomy bag, she does not like to wear it underneath her pants — “Really Mom, it is like putting a rolled up sock in your pocket and wearing it all day – totally uncomfortable”. Ryleigh has always been one for comfort vs style. Personally, I think it is very brave and courageous of her to be so open and honest about her ostomy pouch. She even makes the effort to decorate her pouch with sharpie markers to make it more eye appealing. What a kid! For me, it is adjusting to the process of caring for a child with an ostomy bag. We purchased a diaper bag because Ryleigh needs to have extra sets of materials, wipes, extra clothing, and other supplies. This is just in case we are out and about and something happens. She is not embarrassed about taking the bag and even calls it her diaper bag. Now, I make it sound like Ryleigh is adjusting wonderfully to this new way of living for her — she still struggles with the whole situation. There are times, understandably, she has a complete melt down and gets angry and mad. She still refuses to empty her own bag as it really grosses her out. I do that for her — not the most pleasant job but motherhood seems to prepare one for this kind of thing. She has had some crying times wondering why this has happened to her. But once she gets it out of her system she is good for awhile and keeps moving on. I am wondering if there is a disorder called Post Traumatic Sick Child Disorder? Now that (crossing my fingers) we have completed this stage of getting Ryleigh better I wonder how I will adjust to the new role that I will play in her life. I am responsible for her injections, bag changes, mood swings, emotional challenges, catching up on her schooling, nutrition and fluid intake…..and how will I adjust. I am realizing that life goes on after your child has been hospitalized. I romanticized the idea of Ryleigh’s discharge – thinking that things would be easier. Currently, they are just different. There are still worries, stressors, and responsibilities — they are now on my shoulders more then ever. I am fortunate to have the knowledge of my past experiences and the support of family and friends to know that I will get through this stage too. Normal is what normal is…. All of the struggle worth it…. Ryleigh has been discharged today. We are happy and exhausted. She still needs one on one care as she has difficulty moving and doing things on her own. We are all learning how to deal with her ostomy with cleanings and replacing. A huge learning curve but we are meeting the challenge. She needs to go to some follow up appointments but we are aiming to be home by April 6! We will spend the time in Vancouver resting on our own schedule not the schedules of others. I am so played out that this post has become very minimalist — Ryleigh is getting better, Chloe continues to be strong, and we are all working on being outside of the hospital. What an outstanding day. I feel like a 10 tonne weight has been lifted off my shoulders. Life has been altered slightly with a few adjustments as Ryleigh ventures into the real world but they are minor compared to the challenges she has faced over the last two years. Ryleigh woke up today like a typical almost teenager – complaining about not being able to sleep in on a Saturday morning. But she had meds to take, vitals to be done, and visits from the doctors. Grumbling she woke up just enough to do those tasks and then begged me to go back to sleep for awhile. I agreed and went to pick up Chloe and had a tasty breakfast at de Dutch. When we arrived back to the room Ryleigh was awake and happy to see us. She was feeling energetic and wanted to use her daypass to get out and about. I thought it was a grand idea…we had to wash her hair first. She ventured to have a shower which would be her first with an ostomy. We learned a few things about showering and ostomies — press and seal works much better than plain saran wrap and tape!!! Ryleigh had a craving for her IHOP pancakes and eggs…she can’t eat sausage anymore as the casings can block her stoma so she opted for bacon. We also went to London Drugs to get her own hair dryer — it is an important tool for ostomates — helps heat the phalanges for the seal on her ostomy piece that sticks to her skin and to dry her ostomy pouch after showering, swimming,etc. 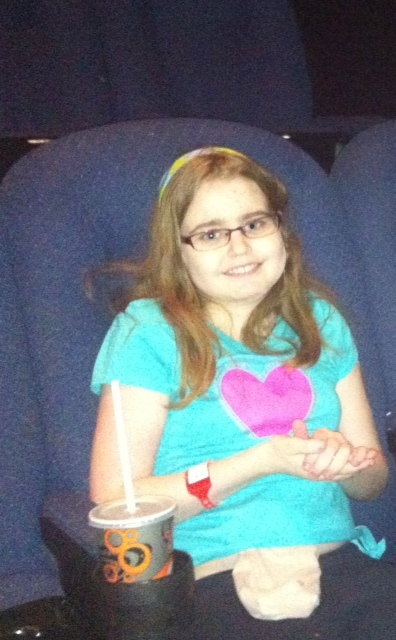 But Ryleigh did not want to go home…she felt energetic enough to go to a movie. We headed out to see the Croods…a rather enjoyable family movie. Ryleigh was giggling and laughing but tried to stop herself a her stomach muscles are still healing from her surgery. It was one of those hurts so good moments! We left the movie theater and had a lovely drive back to the hospital. It was a lovely sunny day — when we left the parkade Ryleigh almost sparkled like a vampire as it has been weeks since she has been out in the sunshine. It is looking very positive that Ryleigh will be discharged as an outpatient on Monday..I am relieved, excited, and very happy. Looks like we could be back in Vanderhoof in 10 days or so…(I try not to be cynical as I say this..as I have said it before!). Home doesn’t look so far away now. A few more days in hospital…. So Ryleigh continues to struggle with recovery. A couple of days ago she started feeling yucky again and stopped eating. Her stoma and ostomy did not produce enough output resulting in worry from the nurses and some doctors. She got very nauseous on Thursday and there was thought she had another obstruction. She had an x-ray thankfully it showed not blockages. There was some debate between fellows and her attending surgeon yesterday about whether she can go home or not. It was quite the confusing and somewhat stressful. I felt I had to make the decision whether I thought she should be discharged or not…I told them my anxiety about what has happened in the past does not allow me to make a rational decision about this. The attending surgeon was not comfortable with Ryleigh going home until she demonstrated she could eat and drink enough on her own so that she would not face dehydration issues at home. The doctors came in today and they think the nausea is caused by her adrenal glands not working properly because she has been on steroids for a long time. The adrenal glands shut down when there is other steroids in the body. The human body is quite efficient – the levels of steroids have increased so the adrenal gland compensates and does not produce. As a result the adrenal glands take time off and decide not to do their job. If steroids are stopped right away without proper tapering – then it can cause complications. They are thinking this is why Ryleigh is feeling so yucky. Last night they gave her some extra steroid and it seemed to stop her nausea and she ate and drank a little bit and seemed to feel a bit better. Hopefully that is the reason for her feeling yucky. They have increased her steroid a little bit and will have to taper her off a bit more slowly…darn steroids, the side effects are very scary. I am hoping for a more energetic weekend – perhaps Ryleigh can get a pass out this weekend and we can take her out for breakfast, drive around and look at all the mansions that are in the area! Monday is the discharge plan — providing all goes well for the next three days. It is hard not to get discouraged and feel like this will never end. I know that it will — being positive takes energy but I cannot imagine what else one can do. At times I get down about thinngs and think the worse but am grateful for friends and family (especially Chloe) who encourage me and remind me that things do get better. My this journey seems to be full of unexpected twists and turns. Today while having a routine pouch change – we are being trained by the ostomy nurse as we need to do it independently before leaving Vancouver – the nurse noticed that Ryleigh’s output was not normal for an ileostomy patient. As well as her output continues to decrease in the last 48 hours. We were told by the fellow (he has been the primary physician from surgery looking after her) that she could be discharged on Thursday and that he is not worried about her. However, the attending surgeon disagreed after consulting with the nurses, myself, and Ryleigh. He does not want her leaving until she is eating and drinking the proper amount to maintain digestive health. He does not want to see her need to be admitted again. I appreciated him not wanting to rush her out of here. After all the things that have gone wrong a few more days in the hospital is not that big of a deal. I would rather her be ready to leave then rushing to get out of here. That being said, I was looking so forward to getting the heck out of here and being at least one step closer to getting home. Staying at Easter Seals is not easy but at least there are better cooking facilities, no hourly interruptions, a bathroom that I can use in the room, and the noises are less “beepy”. Currently, she has hardly eaten today — she is feeling miserable. I am not sure what is going on as the last couple of days she has been doing fairly well and wanting to eat and drink. Once again I am in the worry zone but I will not borrow trouble and hope that after a good rest tonight she will be up to the challenge of eating and drinking enough. If not, the surgeon informed Ryleigh that she would need another NG tube for feeding. That is definitely something she doesn’t want. Crossing fingers. The last few days have had moments of laughter, tears, frustration, and some anger. One thing that was made very clear to me today by Ryleigh’s psychologist here at BCCH is that Ryleigh’s determination and strong will has helped her make it this far in getting better. Ryleigh has developed some good coping skills for pain. Ryleigh was making good progress the last few days. On Sunday she started eating real food and it seemed to be going well. We had a surprise visit from the Rancier family as they had a delay in heading to their spring break vacation in Mexico. Ryleigh made the effort to go to the main floor and visit for a bit. It was really nice to see her laughing and talking with her friends. Ryleigh is on her way to meeting these goals. It has been exciting to see her get better. BUT, on Monday she had a very rough day and I thought she was heading to another bad turn. She started out her morning feeling nausea and pain. Similar to what was happening when she had a blockage — not again I was thinking. She ended up being in intense pain again and vomiting. The nurses rush to get some meds into her IV and one of the lines to her PICC broke. So she needed to have a repair done on her PICC which was quite intense and time consuming. Then she had her ostomy bag changed but the bandage over the incision caused it not to heal…so it leaked which grossed Ryleigh out and cleaning had to happen. Then she needed to have some of the bandages removed and her bag reattached. To top it all off – she had to have a blood transfusion because her hemoglobin went down to 60. What a day! It was a miserable day and I felt so bad for her. However the evening got better. The doctors do not believe she is having another partial blockage – instead they think that her intestine is not moving efficiently yet. It may be having difficulty moving food through and at times it gets slowed down and stops. This may take 3-6 weeks for her digestive system to start working properly again. We need to be careful but not paranoid. This morning Ryleigh was energetic, less pale, and ready to meet the day’s goals. She has tried to eat more regularly, drink more fluids, and sit up more. She went to the teen lounge with her sister to play video games for an hour. Small but wonderful feats. The doctors are impressed and are hoping she can be discharged on Thursday or Friday of this week. They would like us to stick close for a couple of weeks to make sure she is doing all right. They are concerned about dehydration the first 6 weeks or so as the small intestine starts to take over for the large intestine. We are excited about finally getting to leave the hospital. We are a little apprehensive as the last few times we left — we had to come back or stay. Ryleigh looks better and seems like she is feeling better. It will take some effort and time to help her with reconditioning. She has her own wheelchair and will use that for any long excursions and outings. Let’s hope that all works well and we are staying all together at Easter Seals House on Thursday Night. The recovery process continues to be challenging. This time around Ryleigh is managing her pain better. But, she is way more fatigued and weary. Her sense of perseverance has dwindled and she finds encouragement and being enthusiastic annoying. So we are quietly cheering on the edges of the room. Ryleigh did too much physically yesterday – so today she spent a lot of time napping today. We have to pace her more slowly and understand that she will recover. Unfortunately, it looks like we will not be going to Mythbusters. One of the childlife workers here at the hospital is going to find another family who could use a nice break from the hospital. I know they will enjoy the show as much as we would have. Ryleigh’s stomach is starting to mend again. There is some concern that she may have scarring and adhesions again so we are all watching for the signs. Ryleigh’s hemoglobin has dropped but the only sign she is showing is tiredness and paleness. So we will watch for other signs like feeling faint and dizzy. Tomorrow Ryleigh is going to try standing up but just for a week bit – she thinks about 10 seconds or so. It is a good goal and hopefully she can do it as we are all eager to have her get better and get out of here. This seems like deja vu -as we seemed to have been through all of this before — I guess the experience is good to have. I just hope it all ends better. Ryleigh had a relatively good night after her surgery. It was much better than her first night after her last surgery. Ryleigh is coping better with the pain and knows that if she moves, rests, moves she will recover faster. She is really chatty and is telling lots of stories and making witty comments. She will start a conversation and begin talking for a fair few minutes and then proceed to tell Chloe and I to stop talking to her so she can go to sleep. She is eating ice chips and that does not seem to be disagreeing with her stomach. She is not as sick with the morphine because she is not using the patient controlled pain management device as much. 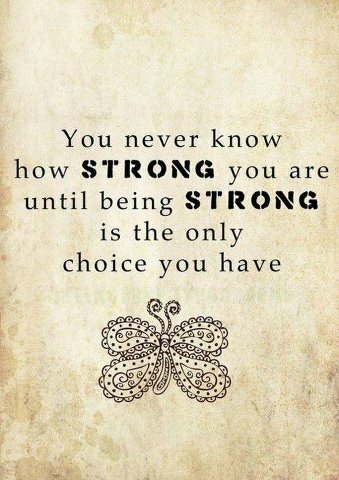 Today Ryleigh will rest but I am hoping that tomorrow she will be willing to do a bit more. All three of us are being cautiously optimistic that this is the last of the series of unfortunate medical events for Ryleigh. We are so ready to leave the hospital and get on with things. Ryleigh is out of surgery and did remarkably well. She had two spots that had bowel obstructions due to scarring. They had to remove her stoma and work on the spots and then create a new stoma. She will need to go through the same process of recovery as before. Some concern it could happen again — we are now very aware of the signs! The hard part now is pain and recovery. Hopefully this will be the last time. Thanks for all the prayers and positive thoughts. Ryleigh improved a bit on Sunday but actually went downhill a bit with her output of fluids from ostomy and increase of fluid from her stomach. It should be going the opposite way more out of ostomy and less out of stomach. The surgeon informed us that because they are not sure what is causing the intestinal blockage they will not be able to do it via laparoscopy. She will use the same incision but it will be about two inches longer. They have to take the intestine out and look for the blockage. It could be adhesions, hernia or something else I cannot pronounce. There is a possibility that part of the small intestine could be damaged and they may need to have to do a resection. This is cutting out the diseased part and then putting it together again. Ryleigh is more relaxed for this surgery — she knows the surgeons and knows the process. She wanted her hair washed and braided before so that it would not get all messy again. She is in fairly good spirits and can’t wait until she is better. She is tired from this whole thing and has been a bit sad off and on. She knows how long and hard recovery is and is frustrated to do it all over again. When Ryleigh was having her first surgery I bought tickets to go see Mythbusters in Abbotsford on March 17. I wrote the company an e-mail and told them how much Ryleigh loves the mythbusting! They agreed to giving us passes for the meet and greet so that Ryleigh (and Chloe) could meet Adam and Jamie. Unfortunately, the surgeon does not think she will be ready to leave the hospital and be off some of her lines. So we are sad…we are going to go get the tickets and wait until Saturday or Sunday morning. Maybe we can find another family that could go. Ryleigh’s health is more important…I wonder if Jamie and Adam would come to the hospital for a visit?